Is Toilet Swirl Different in the Southern Hemisphere? Just In Case You Wanted to Know! As plumbers, we occassionally get the question about drain and toilet swirl and whether it’s different – or opposite – in the southern hemisphere. Well, here’s a short video to show you everything you ever wanted to know about drain and toilet swirl – just in case you wanted to know! While we can’t make your toilet swirl in the opposite direction, we can fix and repair your plumbing and toilet problems. 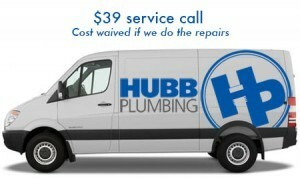 Give us a call at Hubb Plumbing today. We are available to fix your clogs and leaks. For over 30 years Hubb has delivered quality plumbing service to homeowners with fair pricing and highly experienced technicians. Since 1987, Hubb Plumbing has provided and continues to provide the best plumbing services for Snellville, Loganville, Grayson, Lawrenceville and the greater Gwinnett County region.